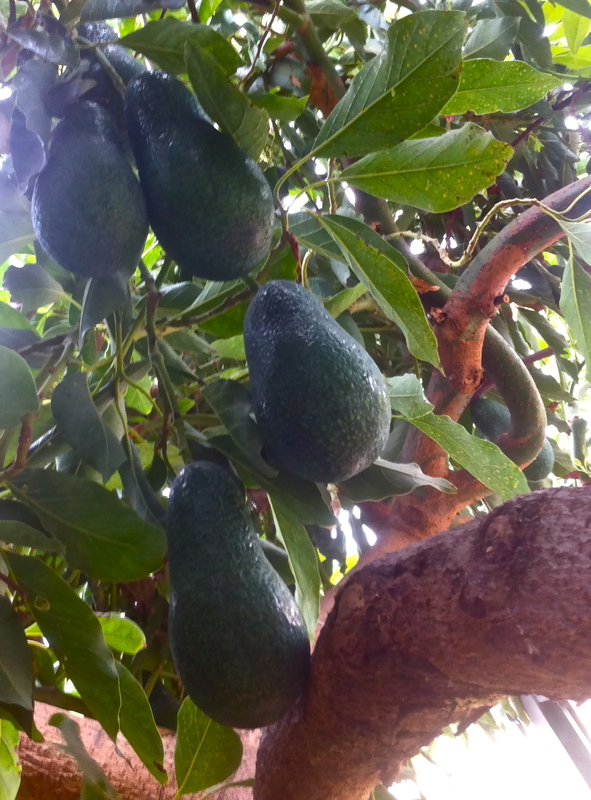 Our avocado tree is flush with fruit this November! One aspect of my life where I have completely overused this word is with food. The butterscotch pot de crème at Gjelina is awesome. The lamb neck at Bestia is too. But every pork belly that I have met in the past year is not, even though I have most likely gushed that word out after each forkful being the pork whore that I am. The “admiration” part of the avocado comes when it is mashed and used for its texture, which again, defies traditional classification because it is not quite cream, not quite butter, not quite pulp and not quite puree, but a silky unmistakable combination of all four. Without this unique and discernable texture, the world may never have known the fantastical deliciousness of guacamole. But the truly “inducing awe” aspect of the avocado comes when it is used in a way that seems to completely go against its grain, as an additive in smoothies. There is something magical that occurs when an avocado is whipped with cold ingredients that completely mystifies. It turns everything into an ambrosial form of ice cream that is lusciously whipped yet densely creamy which lacks the customary avocado taste yet maintains its undertones of sumptuous richness. Since discovering this, I have gone completely smoothie crazy. My latest favorite recipe below is just the tip of the iceberg in this avocado awesomeness. 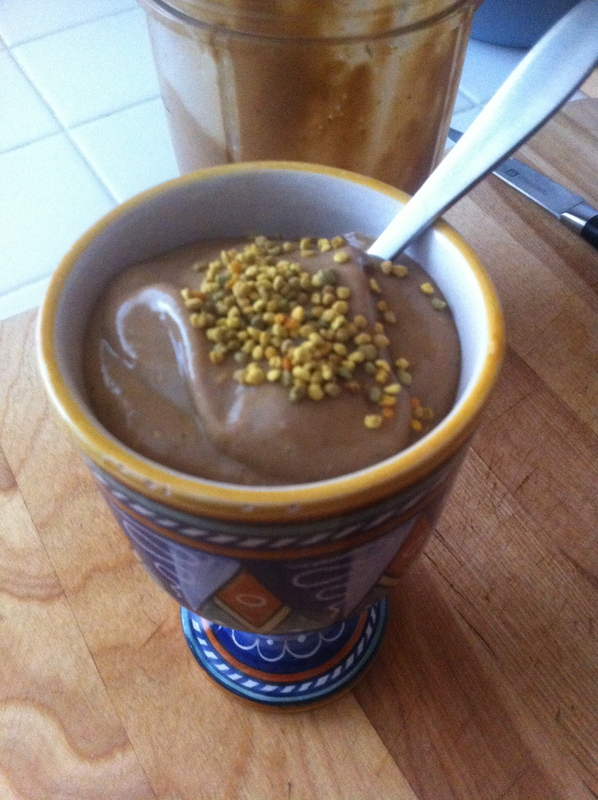 Throw everything in a Nutribullet or other type of blender for 20 seconds and voila!